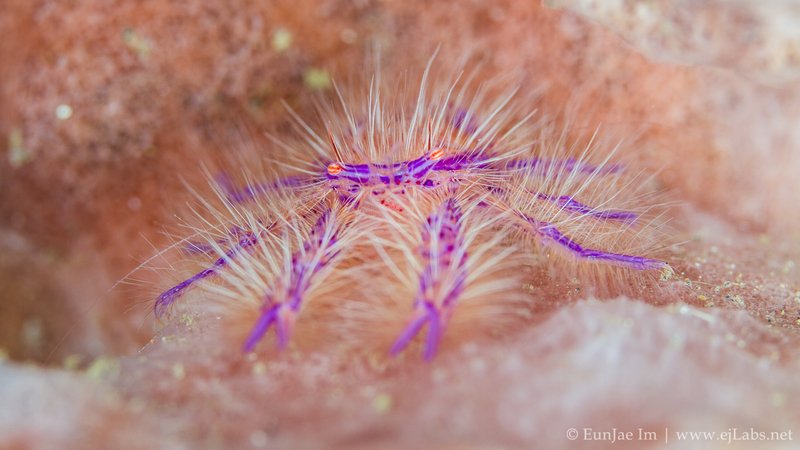 Hairy Squat Lobster (Lauriea siagiani) is beautiful small crustacean live on barrel sponge. Filmed at Tulamben in Bali, Indonesia. Shot on GH4 in 4K, Olympus 60mm lens in Nauticam underwater housing.